Time is of the essence when it comes to your teeth. 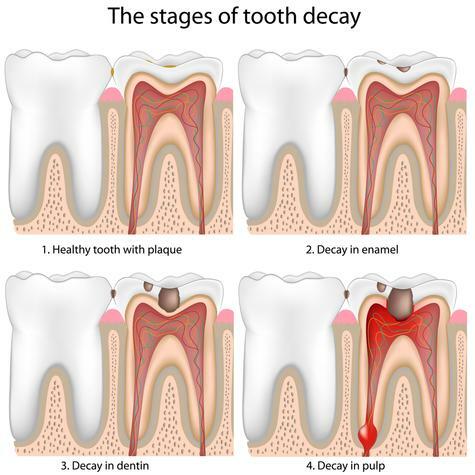 Often times putting off a dental visit can turn a minor cavity into a painful infection reaching all the way to your root. If you have a minor toothache, we would recommend you act quickly to prevent more drastic treatment. That’s not to say root canals are required just for persons avoiding a filling. Often times a tooth fracture occurs when eating hard foods. Even pregnancy can affect the overall state of your oral health. And secondly, this makes it so you are no longer in pain! Keep in mind that the absence of living tissue will create a weakened tooth structure over time. Although it can be treated with a large filling, it is recommended that a porcelain crown be capped over the tooth to prevent further injury. We’re Not Cutting Down a Tree Here! A tooth’s nerve is not vitally important to a tooth’s health and function after the tooth has emerged through the gums. Its only function is sensory — to provide the sensation of hot or cold. The presence or absence of a nerve will not affect the day-to-day functioning of the tooth. Our Rigby root canal treatment will allow you to eat without pain and retain the beauty of your smile. If you’re looking for the best Rigby dental office for root canal therapy, contact us today!